The Road to the Horizon: Rumble: Help! I am Paypal-ing! Help! Last Saturday I had a problem with my Paypal account. Someone had sent me money, but Paypal did not allow me to accept the transfer for one reason or the other. Here is the factual exchange of Emails so far, in which I blanked the sensitive data. Thank you for taking the time to contact us with your concerns. I am happy to assist you further. Mr. [name client], I have reviewed your account but I can not find any receiving limits on your account. Please inform us where and how we have told you that you have reached your receiving limits. Unfortunately, the email address that you have written to us from is not a confirmed email address within our system. In order to protect the security and integrity of your account information, it is our policy to only send information specific to your account to an email address that is confirmed on your PayPal account. To answer your query, please follow the steps below and we will be happy to assist you. answering this now from a different Email account. This one *is* registered with Paypal. "Accept Credit or Debit Card Payments: You can accept $1000 USD monthly and up to 2 credit or debit card payments annually with a Personal account. You've reached your limit and should upgrade to Premier account to accept more payments." See also attached screen shot. 3/ The only way I could accept the amount was to upgrade to a Premier account. Thanks for contacting PayPal. I appreciate the opportunity to assist you with your questions. 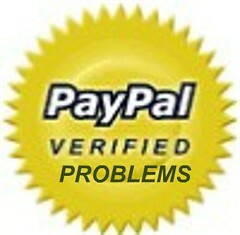 With a Personal PayPal account you can only receive a certain amount of money on your PayPal account. If you receive more then you will be asked by the system to upgrade to either a Premier or a Business PayPal account. You have NOT read my message. Please read my message containing an error report, and answer appropriately. Let me give you a hint: I did *not* reach the monthly receiving limit, as I did not receive anything yet that month. Have you actually looked at my account and at the transaction? Hint: the transaction number I refer to is [refnr] for the amount of [amount] pounds. The transaction type is “Instant”, NOT credit card. On 04/20/2008 I answered an email regarding your Paypal account. As part of Paypal’s promise to provide excellent service, I would like to know if I helped you adequately during our conversation (ed: we never spoke). Do you have a few minutes to answer the following questions so I can know how I performed? There has been a problem displaying your survey. 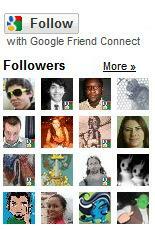 This may have happened for various reasons, including: etc etc etc. A beautiful and classic story of the dog biting his own tail.